Planet Earth Rock and Roll is an online fortnightly radio show playing 60s and 70s psychedelic rock, progressive rock, folk, acid and other related cosmic vibrations. 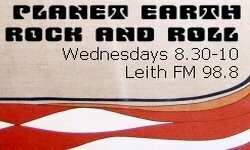 DJ Jake King (aka drawkward) hosts the show on my local radio station, Leith FM. Jake’s musical knowledge of 60s and 70s music is encyclopedic, and his velvety voice is perfectly matched to the show’s style. 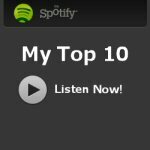 I asked Jake to let me know his Top 10 tracks, with a slight bias towards ones that were on Spotify (otherwise I’m sure most of his selection wouldn’t have even been on CD let alone streaming!). Here’s what he came up with: Dylan, the Stones, Hendrix and more — check it out below! My best friend had this on an old cassette back in the day and I think I liked it a lot more than he did. I didn’t hear it again for years but when I did it blew me away. This is British psych rock at its best, just before it tipped over into prog. Before Jefferson Airplane, Grace Slick was singing Somebody to Love and White Rabbit in a band called Great Society. This is stripped down proto-psych at its absolute best, you can just hear sense of anticipation in the air. I can’t listen to the Airplane versions any more. Donovan gets a bad rap in the UK and has done ever since punk came along, but he’s not all sunshine and meadows. This is more like waking up in the centre of hedge maze in the middle of the night. I was and am a massive Stones fan. This was another song that got me through my mid-teens and hearing it always takes me back. I remember seeing them on the telly when I must have been four or five and being fascinated. Probably the start of my obsession with 60’s music. When I heard first heard this aged 14 I literally couldn’t believe how cool it sounded. I learnt all the words straight off. Just after this I met a guy called Neville at a Buddhist Monastery who told me “don’t follow leaders and watch your parking meters,” which I’ve always tried to do. On my first trip to Scotland my friend dosed me with Crosstown Traffic and I was never the same again. This ‘song’ mixes Post-Apocalyptic themes with Flood Myths, Atlantis, not to mention the dreamy underwater vibes. Strap yourselves down and try not to forget what dry land is like! Another song where I couldn’t believe how good it was, and it doesn’t even make it onto the Best Of. If you’ve not heard of these guys get their stuff right away. No idea what this song is about (they’re Brazilian) and I don’t want to know. I came pretty late to Fred Neil, but I more or less knew all his songs from various covers. Along with Dylan he’s the missing link in the transition from folk to the psychedelic movement in America. Get all his stuff tomorrow and tear down the walls. Travelling around New England with my girlfriend I stumbled upon an enormous record shop in a little American town. I bought this and a bunch of other stuff. That evening she agreed to be my wife…. It was indeed a beautiful day. The first time I took my daughter in my arms I suddenly realised I couldn’t remember the words to any lullabies, so I sang this instead. It’s a mellow song about a guy walking through a park and his frame of mind. 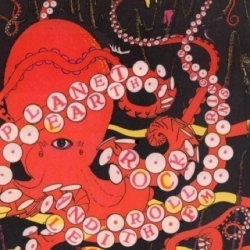 My Top 10 — Planet Earth Rock and Roll, featuring 9 of Jake’s 10 chosen tracks. Tune in to the show tonight to hear that missing H. P. Lovecraft track!